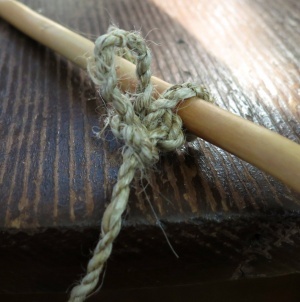 Learn how to make really strong rope out of natural materials like nettle, dogbane and cedar. You will also learn and practice many different kinds of knots for all sorts of situations. All Classes are from 10am-2pm. All materials are provided. All Classes held at the Eslha7an Learning Centre. 345 West 5th Street, North Vancouver, Squamish Territories. Purchase through PayPal by using the "Add To Cart" button above or use the form below to order the Cordage and knots Course . Feel free to contact us if you have any questions about the Cordage and knots Course .